Home Depot constantly strives to improve customer service but checkout lines were getting longer and longer. The solution: wireless handhelds for point-of-sale (POS) checkout. Home Depot stores learned how to reduce wait time and improve sales with mobile handhelds from Symbol and development of a wireless POS application that integrated with stores' existing registers. The result was a system that was more flexible, freed employees to be more effective and customer-oriented, and improved business for Home Depot. Home Depot is a registered trademark of Home Depot, Inc.
Kaiser Permanente (KP) is one of the nation's largest health care providers with 190,000 computers under management. However, a multi-billion-dollar rollout of a paperless electronic medical record (EMR) system required significantly improved incident management and the IT Department was worried that millions of dollars for new personnel would be required. By re-engineering KP's help desk operations, desk-side services and IT support, Acceleros was able to help KP to significantly reduce response times, improve satisfaction, and save millions in operating costs. Acceleros demonstrated that IT can be used to respond to the changing needs of the business in creative ways. 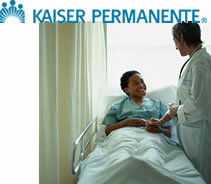 Kaiser Permanente is a registered trademark of Kaiser Permanente, Inc.
After 20 years, Dell needed to migrate and update its internal order management system. This strategic project meant that interviews needed to be conducted with stakeholders around the world to understand how they used the system, documenting processes and a myriad of systems, and analysis of the financial impacts before the global migration could begin. The technical aspects of the project included detailed assememnt of the global impacts and technical risks, technical mapping system interfaces and components, use cases that incorporated process improvements and technical requirements for development of the new system. Dell is a registered trademark of Dell, Inc.